When do we ship order? For ready-stock item(s), package will be shipped within 3 (THREE) business days after the order payment date using selected couriers*. Else, "3-Days Shipping Guarantee" is in force. (What is this?). Generally, the package will arrive within 7 (SEVEN) days and should not take more than 14 (FOURTEEN) days. More about courier delivery speed is explained in Shipping & Courier below. For pre-order item(s), it will take between 21 to 42 days for the product to arrive in Malaysia, but custom clearance process is unpredictable. Overall, it may take up to 90 (NINETY) days for customer to receive the package. Pre-order item is tagged with [PRE-ORDER] in the product name. Combination of ready-stock and pre-order item will be shipped in a single shipment after pre-order item(s) arrived. For URGENT order, please include Priority Shipment for guaranteed shipment date. To stay focused and challenge ourselves, we introduced "3-Days Shipping Guarantee". If we failed to ship order within 3 (THREE) business days after the order payment date, the shipment is free! Please report the late shipping here. We only guarantee when we ship package to courier; the deliver time from courier to customer depends on the courier's speed. Once order is ready to be shipped, customer will receive a shipment confirmation e-mail. It will contain shipment details, tracking number, and a package tracking link. To track an order on BeautySpot, sign in to access My Account that will contain order information. We offer multiple shipping options. Shipping cost are determined by zone. A full breakdown can be found below. You will have the opportunity to select your preferred delivery method as your proceed through checkout, and will be able to check the total order value (including postage costs) before you complete the transaction. Pos Ekspres is available for sachet or sample and small item only. 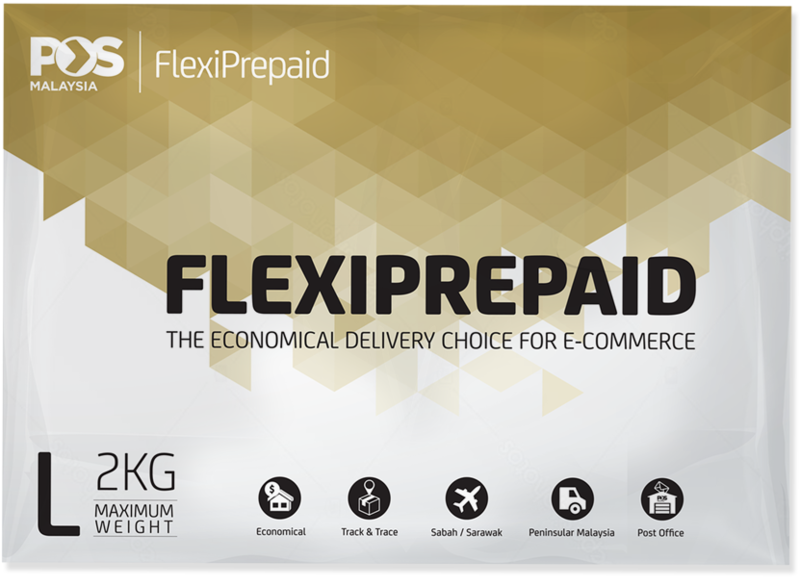 Solution for small item only (if your item size unable to fit, your parcel will opt to Flexiprepaid). Pos Ekspres guarantees the reach of the mails at the intended destination within one, two or three days depending on the delivery zone. Pick-up service is not available for Pos Ekspres product. Pos Ekspres is posted directly into the mailbox. No signature required upon delivery. An economic delivery option to deliver your item/merchandise via Pos Malaysia to all over Malaysia. Solution for 2 kgs and below (if your parcel weight is more than 2 kgs, your parcel will opt to Pos Malaysia post parcel). Reminder: If you choose this method, your tracking number will only start appear/traceable after the parcel start dispatched out from the posting point to PUSAT MEL NASIONAL; which is not necessarily on the same date we dropped the parcel off at the posting point. For unsuccessful delivery attempt due to recipient not available at the time of delivery or office closed, you can collect your item at the window delivery counter, either at the post office** or a specified Mail Delivery Centre (MDC). Note: **Post Office is a Pos Malaysia Centre and not a Poslaju Centre). "D" means the posting day provided that the posting takes place before the last collection time published at the respective posting boxes on an official working day in Malaysia. The numeral after "D" refers to the number of official working days in Malaysia after the posting day to complete the delivery. Note: Remote areas are not subject to the above-mentioned delivery standards. Click HERE for list of remote areas. Acceptable weight is from range 0.01 kg - 30 kgs. Daily pickup from our premises on Mon-Fri (exclude Public Holiday). Guaranteed next working day delivery after pickup/ sendout (D+1) within Pos Laju coverage areas. For areas outside Pos Laju delivery areas, 2-3 business days standard delivery may apply. For more information on coverage areas, please click here. Earliest confirmation of shipment date for DHLec is 2 (TWO) business days after we received your order due to DHLec processing time. E.g., if you submit an order on Monday, the earliest DHLec pick up parcel(s) from us is on Wednesday & if you submit an order on Thursday, the earliest DHLec pick up is on the next Monday (if no public holidays come in between). MatDespatch delivers within Klang Valley. Be sure to be available during delivery to avoid extra charge on failed delivery. Shipment date will be on the next within 3 (THREE) business days. 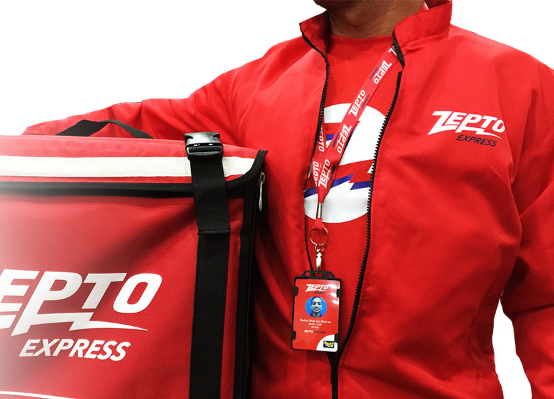 ZeptoExpress delivers in Klang Valley within 3 hours of booking. 1: Pgeon to Pgeon Delivery (Kuala Lumpur, Selangor & Penang). Must include valid phone number. Only available for self pick-up within Pgeon points. 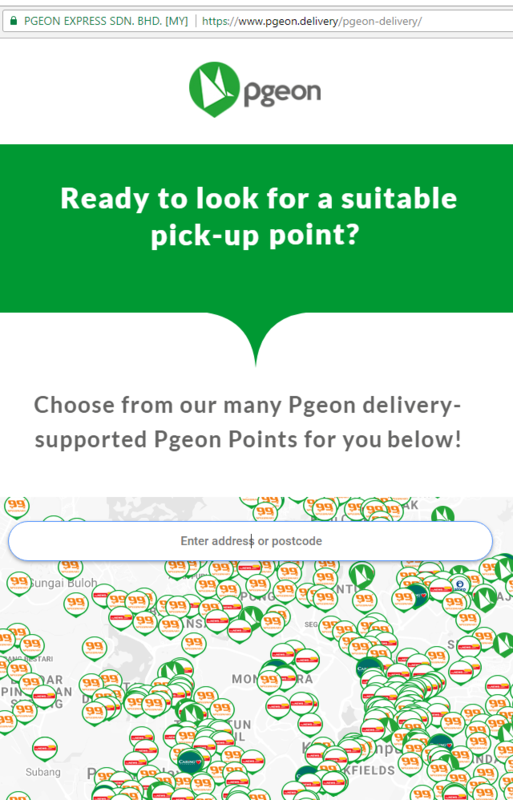 We will choose (i) your preferred Pgeon point or, (ii) the nearest pick up point from delivery address provided with your order - if your preferred Pgeon point is not listed in Pgeon to Pgeon delivery service. Make sure you have transportation for this option. Usual delivery from Pgeon Point A to Pgeon Point B is within 1-3 business days(s). You will receive an email/SMS notification when your parcel arrived and ready for pickup at your Pgeon pick-up point. You need to mention your Pgeon Token number at Pgeon Point to collect your parcel. As you received a notification, your Pgeon pick-up point will hold your parcel for 4 (FOUR) days before it gets sent back to us. 2: Pgeon to Door Delivery (Kuala Lumpur, Selangor & Penang). Currently available for limited area.